Martin Luther King Jr Day snack ideas for preschoolers through second grade. We make friendship salad. Each child brings a fruit. We cut up the fruit and mix them into a salad. We eat it and then share with another class at the center. For MLK Day, we had a snack starting with a loaf of bread. Ahead of time, I used a round cookie cutter to cut out little “Earths” for each child. At snack time, each child gets an “Earth” along with about 5 each of choc., peanut butter, and vanilla chips. The children pushed their different colors into the Earth, then ate it. The different colors of chips signified some of the different colors of people on Earth, and how we all share the same planet. This year I will give only those wearing a certain color the chocolate chips, and when the children say “That’s not fair!”, we’ll discuss fairness in relation to MLK. 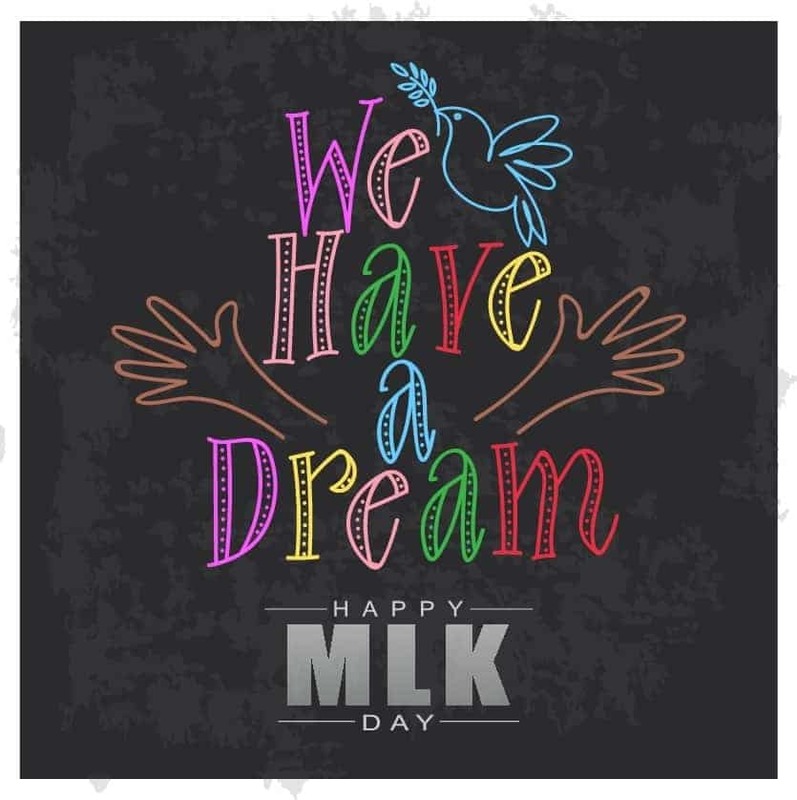 Activity and Snack idea for Martin Luther King…At circle time we talk about what Martin Luther King wanted for all people. I then take it to the snack table. I pass out crackers to all the children. I tell them that only children wearing green will get peanut butter on their crackers (pick a color that some children are wearing or eye color) you will hear a lot of remarks such as “that’s not fair” take it from there and say “No, it’s not fair and I’m going to do what Mr. King wanted us to do, everyone gets peanut butter! This simple activity helps young children with the concept of equality. 2) Spray round pizza pan with vegetable-oil spray. 3) Spread cookie dough evenly on a round pizza pan. Bake for 10 to 12 minutes or until golden brown. Let cool. 4) Place cream cheese, sugar, and vanilla in a large mixing bowl. 5)Beat with an electric mixer until well blended. 6) Spread the cream cheese mixture over the baked crust. 7) Arrange fruit in a pretty pattern on top of the cream cheese. 8) In a small bowl, use a fork to mix marmalade with water. Drizzle the marmalade mixture over fruit, refrigerate 30 minutes to set , then slice into serving-size wedges. I have children each brings their favorite fruit to top the pizza. For MLK day we send notes home to the parents telling them that we are going to have a Friendship Snack. Each child is to bring a half cup portion of their favorite snack, (at this point we give ideas such as raisins cereal nuts marshmallows etc) Then when the snacks arrive at school we get a huge bowl and big wooden spoon and let everyone add theirs and stir. It really gets across the idea of sharing, cooperation and trying new things. I have also done this with older children. It goes over very well.